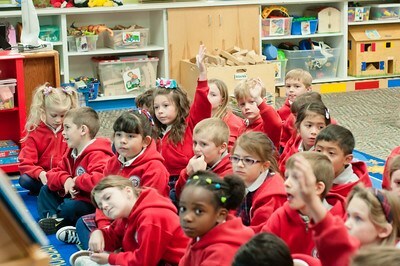 Kindergarten is the important first step in a Catholic education at Saint Paschal Baylon School (SPBS). 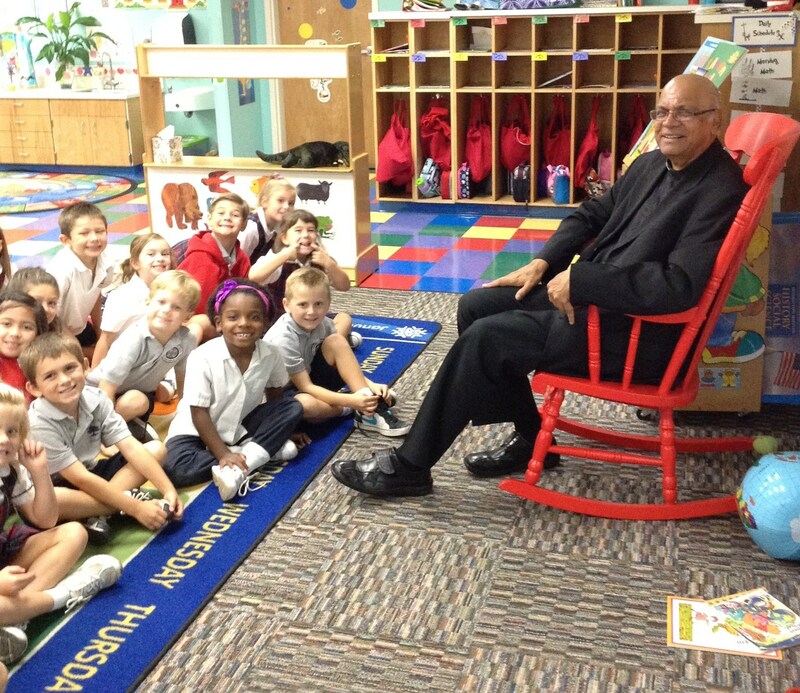 Throughout our Kindergarten year, students come to know Jesus as their friend; they learn about the Bible, and they are taught about God’s many gifts and promises to each of them during daily Religion classes. 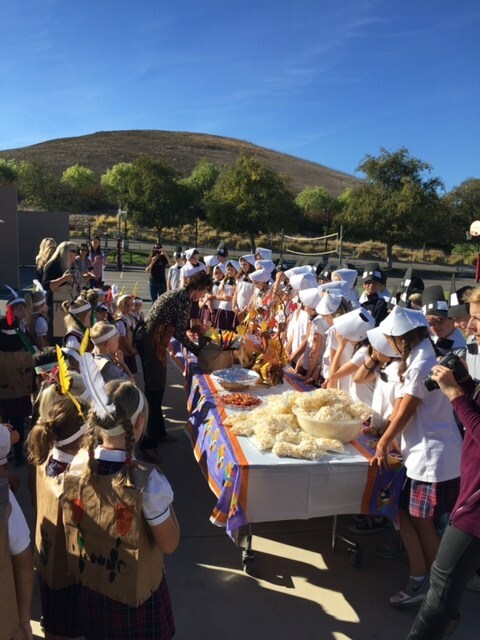 Our Kindergarten, with a maximum enrollment of 20-25 students anticipated for the 2016-2017 academic year, attends Mass each Friday morning together with the entire school, and prepares one Mass each year. 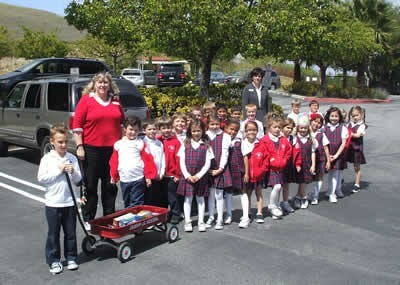 The Kindergarten students have Sixth Grade students as their "Big Buddies" as part of our "Buddy Program". 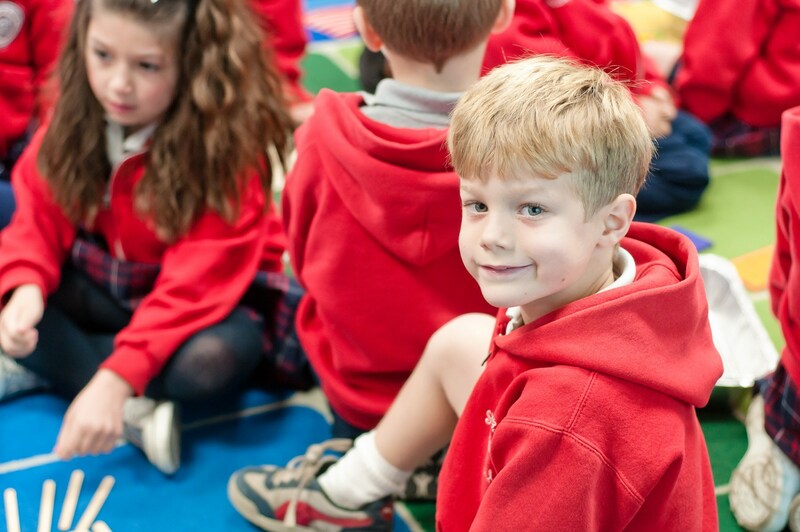 As our students learn about Jesus and his gospel teachings in Kindergarten, they also grow and develop friendships with peers. 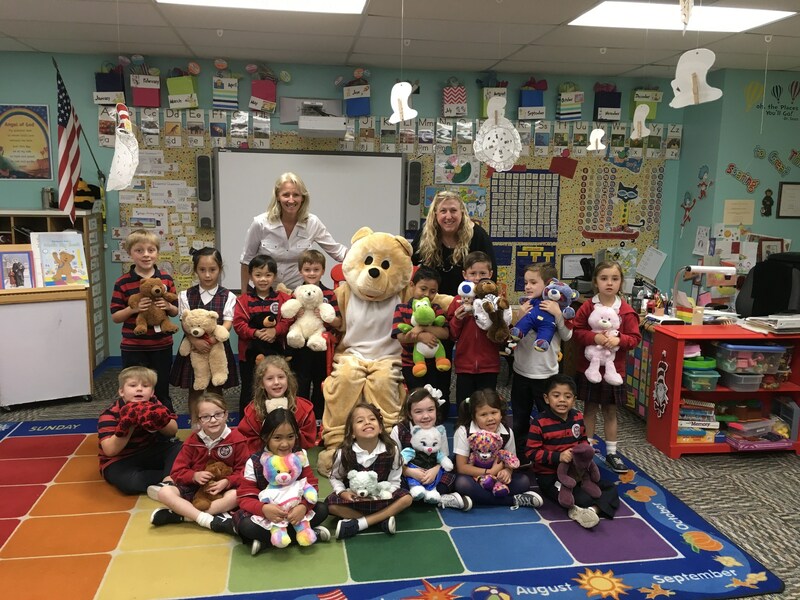 Students learn what it means to be a friend, by sharing with and caring for others in a nurturing, supportive and structured classroom environment. Our credentialed SPBS Kindergarten teacher has a Masters Degree in Education and over 25 years of teaching experience here at SPBS. 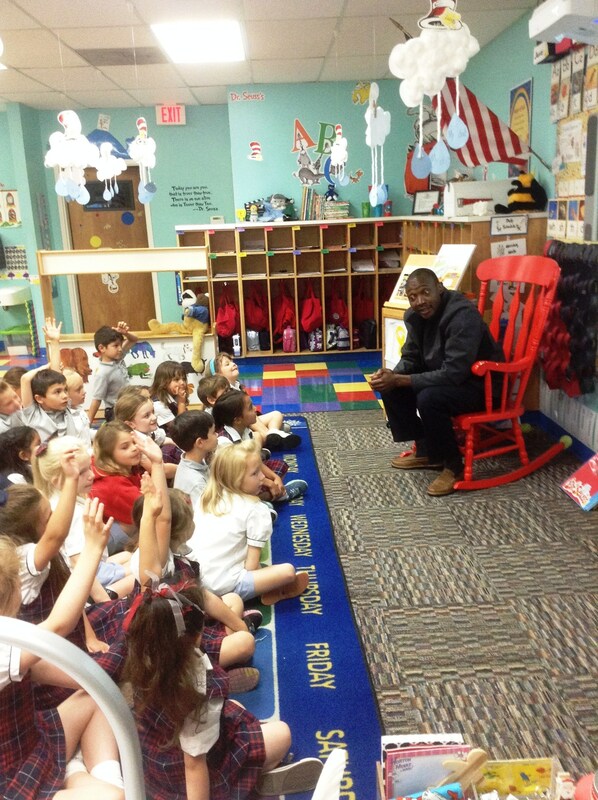 Our Kindergarten teacher is assisted daily in the classroom by a dedicated full-time Teacher’s Aide. 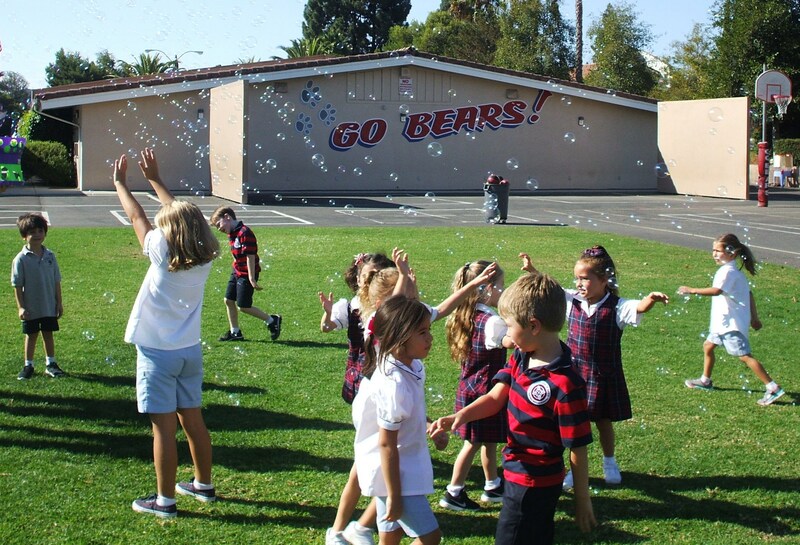 SPBS provides our youngest students with a strong academic program, based on the Common Core State Standards, coupled with standards set by the Los Angeles Archdiocese. 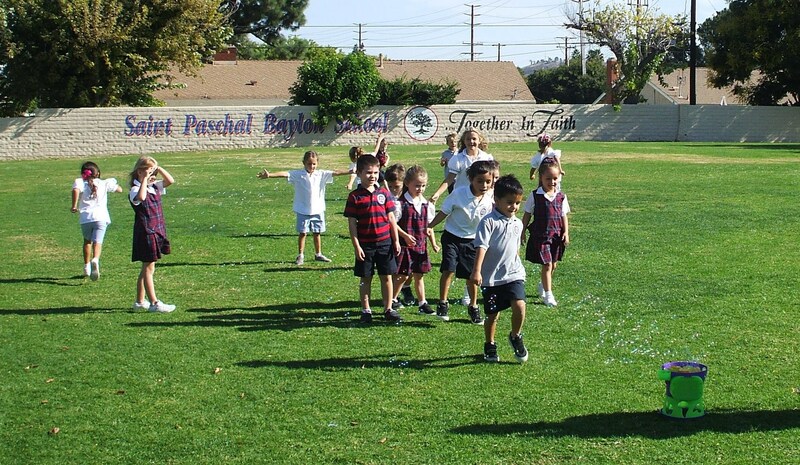 Our individualized program is designed for students entering Kindergarten at varied academic and developmental levels. 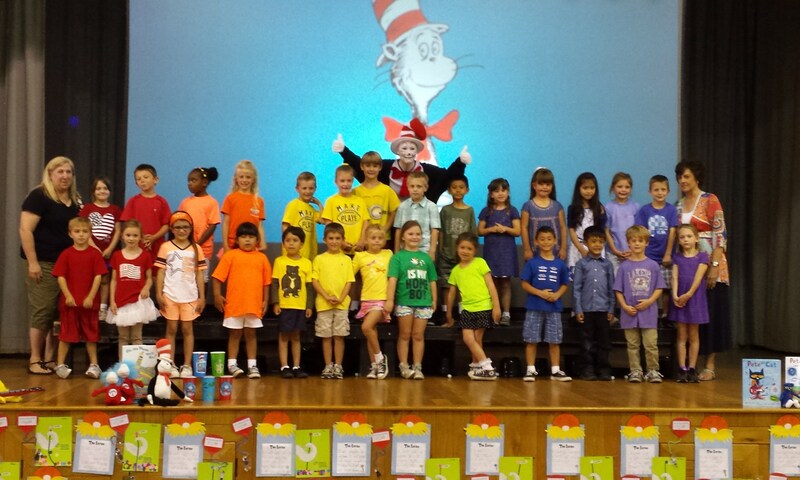 SPBS students graduate from Kindergarten very well-prepared for continued success in our First Grade and beyond. 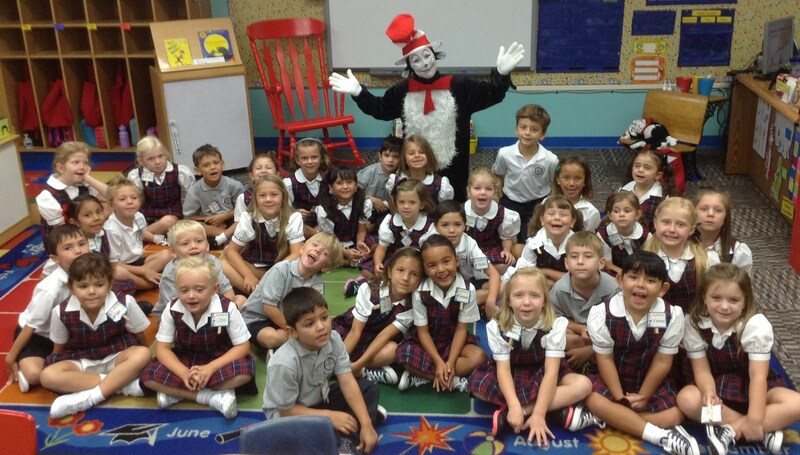 SPBS provides a full-day Kindergarten program, which runs in conjunction with our other grades, from 8:00 a.m. until 2:30 p.m. SPBS utilizes the cutting-edge digital-based Starfall English Language Arts and Math programs, in order to most effectively teach our Kindergarten students the core academic subjects. These programs are aligned with the Common Core State Standards. 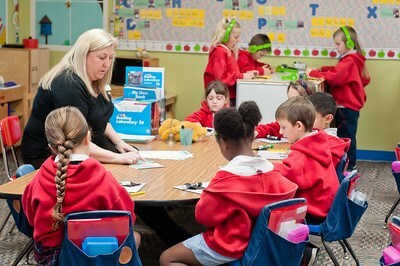 These unique academic programs provide opportunities for our students to learn to read through an extensive phonics-based language program; and to develop math vocabulary and understanding of number sense and computation, in conjunction with our interactive classroom SmartBoard and iPads. 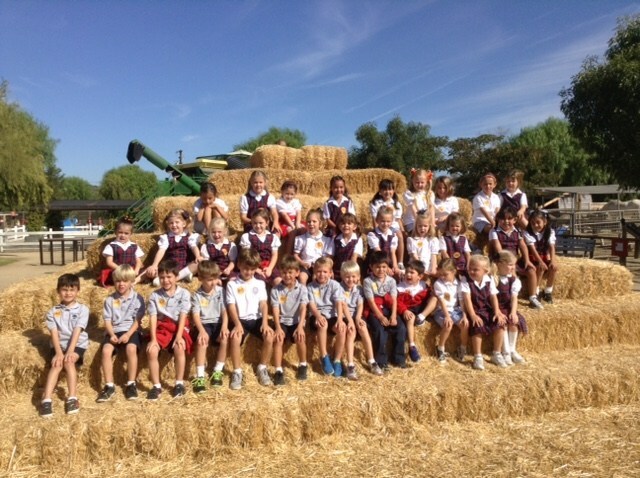 Kindergarten participates in many local field trips throughout the year such as: a visit to a pumpkin patch, a trip to the Thousand Oaks Civic Arts Plaza to see a live fine arts performance, a tour of the Thousand Oaks Public Works building, and a visit to the Moorpark College Teaching Zoo. 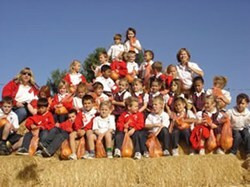 Each field trip is designed to enhance and support our academic curriculum. 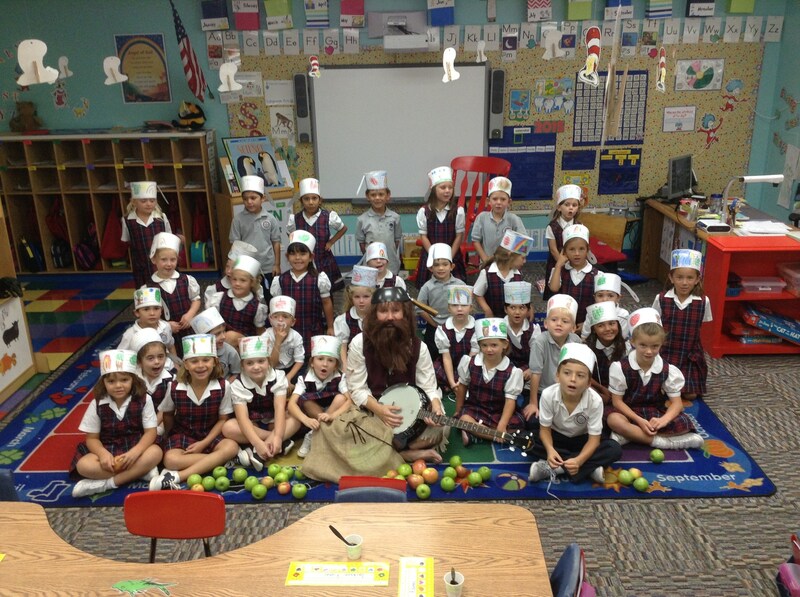 The SPBS Kindergarten students participate in Enrichment Classes every week. 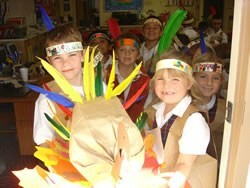 In addition, our kindergarten students enjoy Spanish, Art, and Library weekly. Computers/Technology, ﻿Physical Education and Music classes twice a week – each of which is taught by a designated SPBS Enrichment Teacher. 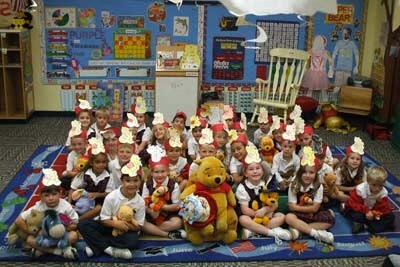 Kindergarten students, who are required to be at least five years of age prior to September 1st of the school year they enter SPBS, receive an excellent, well-rounded, Catholic, academic, developmental, and standards-based education, enhancing their inherent enthusiasm for learning, while providing faith formation. 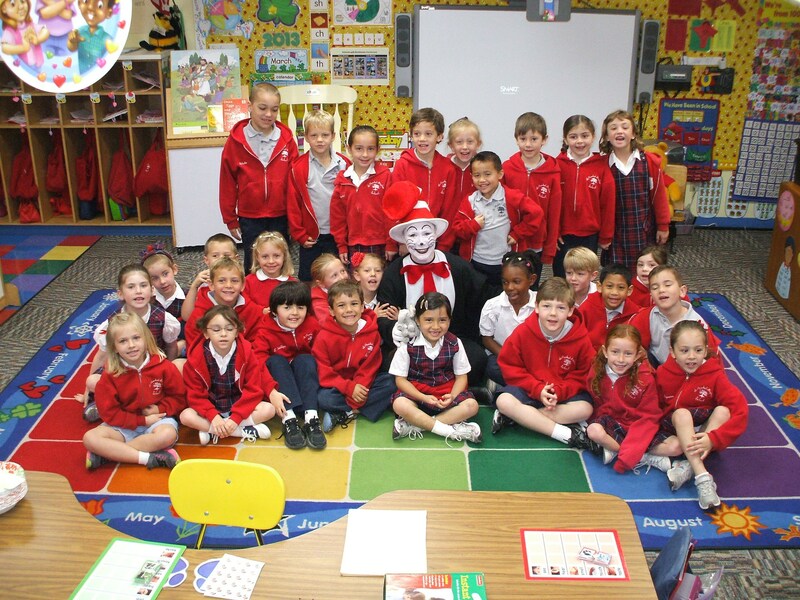 Our challenging standards-based Kindergarten curriculum is specifically designed to promote success in each one of our students along with an excitement to learn new concepts, as they begin their academic journey here at Saint Paschal Baylon School now, as well as to encourage success in their future academic endeavors.